Designed, engineered and manufactured in-house at API, our new Competition Catch-Can V 2.0 improves every aspect of our best in class Competition Catch-Can V 1.0. We believe our V 2.0 to be the best-in-class, not just for the HEMI enthusiast, but for all enthusiasts regardless of brand. 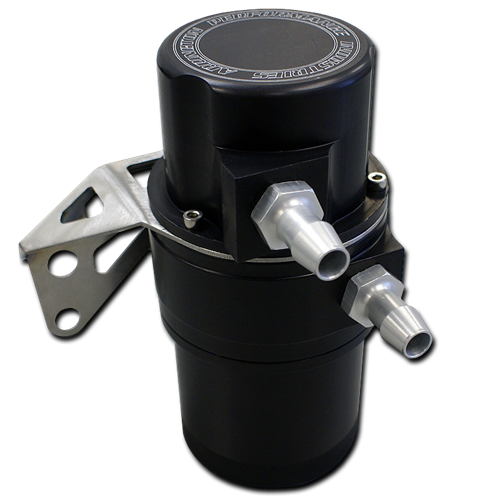 V 2.0 utilizes a centrifugal flow pattern to virtually eliminate oil entering your intake system. After passing through the more efficient V 2.0 Stage 1 stainless steel filter media, oil droplets the diameter of a human hair are collected and drained into the collector. In Stage 2, the blow-by gases are steered through a Green Filter crankcase filter to remove oil droplets as small as 40 microns that make up more than 50% of blow-by oil mass. API’s new V 2.0 Catch-Can is so effective we had to increase the capacity of the collector by 32%. To empty the V 2.0 collector requires a twist of only 37°. The collector positively clicks into place through a cam-lock design with two spring loaded stainless steel balls for positive locking. 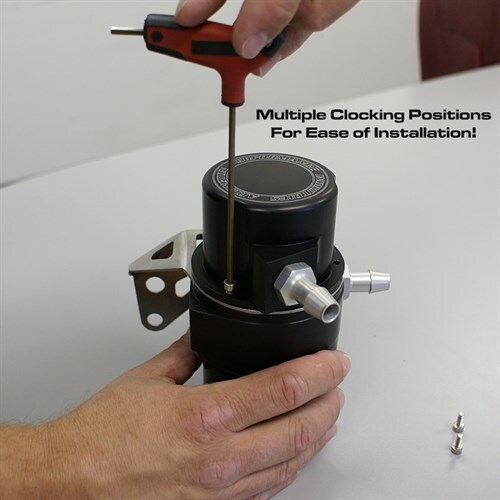 -8 AN fittings allow optimal flow with the OEM PVC valve. The threads in the V 2.0 are standard AN 3/4” – 16 pitch, providing our clients with the ability to custom plumb for special applications. V 2.0 Competition Catch-Can is manufactured by Arrington Performance. 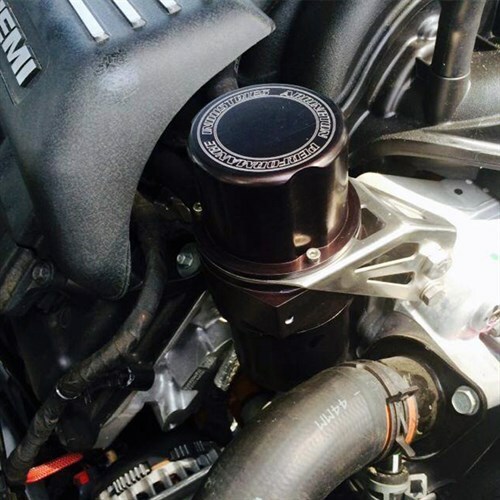 NOTE: Installation in the standard mounting position on 5.7 HEMI equipped Vehicles will require modification or removal of the engine cover or custom mounting location.